A mortgage note is simply a mortgage in which the person receiving the monthly mortgage payments is a private individual rather than a traditional lending institution like a bank, credit union, or mortgage company. The mortgage note, then, is basically a lien against the property that is, in turn, the collateral for the note. Sometimes, though, the holder of the note is better off with a large lump sum instead of the spread-out payments. So let’s look a little closer at what a mortgage note is and how to sell yours in Charleston. There actually are no constraints on what amount of the note you can sell. It can be the entire mortgage note, a specific amount now and then payments again later, or a percentage of each scheduled payment. 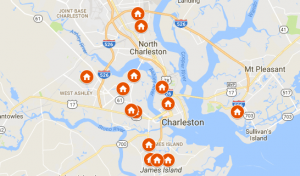 So selling a mortgage note in Charleston is fairly complex and can be somewhat confusing. However, we can provide the assistance you need. Send us a message or give us a call today to learn more! 843-800-2741!